Will some “moderate” Muslim spokesman in the U.S. explain how Archer is misunderstanding Islam, and how his shooting of Officer Hartnett is not a manifestation of his following of Allah? Probably not, but if past experience holds true, if any does so, it will be with a barrage of deceptions and detours. Meanwhile, where did Archer learn his Islam? Has his mosque been investigated? Why not? Meanwhile, note that here again, a Muslim attributes his act of violence to Islam. Yet as we see in the trial of the Finsbury Park Mosque attacker in the UK, the political and media elites continue to behave as if anyone who connects Islam to violence is a racist, bigoted “Islamophobe” who must be silenced for the general good. The fact that Islamic jihadists make this connection repeatedly and openly they steadfastly ignore. PHILADELPHIA : Philadelphia police officer and East Lansdowne native Jesse Hartnett described in court Monday the harrowing attack he faced at the hands of alleged gunman Edward Archer in a Jan. 6, 2017 shooting. 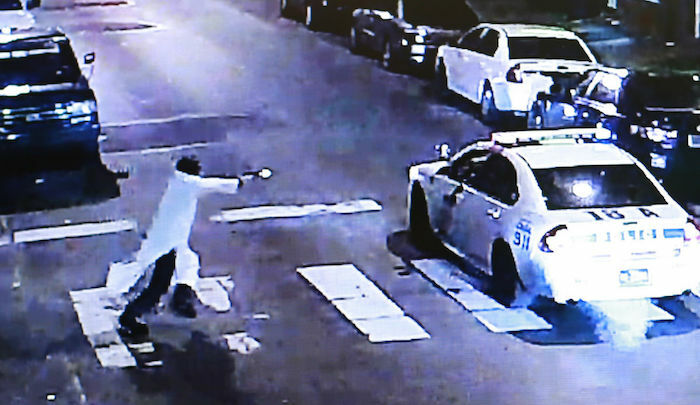 “I hear gunshots … I think to myself, ‘When is it going to stop?’” Hartnett told the jury of nine women and three men, according to a story in the Philadelphia Inquirer. Hartnett was on patrol alone in a marked police cruiser at 60th and Spruce streets at about 11:40 p.m. when the assault occurred. At a preliminary hearing in March 2016, Hartnett described putting his left arm up to shield his head as Archer allegedly ran up to the car, put his arm through the shattered window and continued firing. The incident was captured on surveillance video. “I had a split-second to react,” said Hartnett. “As I see him running at me, everything told me to take cover.”Archer, 32, is facing attempted murder, aggravated assault and related charges. He smirked at times during Hartnett’s testimony, according to the Inquirer story…. Hartnett spent two weeks in the hospital after the attack and underwent multiple surgeries. 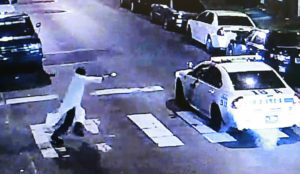 He showed his scarred arm to the jury Monday, according to the Inquirer. Archer was taken into custody about a block from the scene by responding officers. He later told detectives that he believes police enforce laws that undermine the Quran’s teachings. “I follow Allah. I pledge my allegiance to the Islamic State, and that’s why I did what I did,” Homicide Capt. James Clark has quoted him as saying.